Alfa Development has opened of its first boutique hotel, the 90-key HGU New York located in Manhattan’s NoMad district. The Hotel channels the city’s history through the incorporation of original architecture, a curated art programme and multifaceted eclectic design, with the lobby aiming to preserve the aesthetic of the 1905 landmark Beaux-Arts structure designed by architect Frederick C. Browne. To inject a modern New York sensibility into the project, Alfa Development enlisted hospitality designer Peter Guzy of Asfour Guzy Architects as well as DD Allen of Pierce Allen Design. Highlighting a residential style of living, the entryways to guestrooms serve as a place to decompress, with soft tones aiming to create a serene atmosphere, while wood cabinets and furniture compliment hand-woven patchwork Turkish rugs and plush velvet headboards. 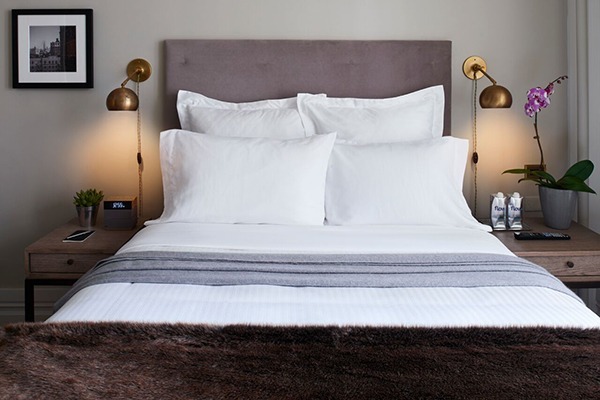 Amenities include 300-thread count Frette bedding, bath and beauty products from C.O. Bigelow Apothecaries, 24-hour room service and complimentary high speed Wi-Fi and in-room iPad minis. HGU New York’s 1905 lounge features a fireplace from the building’s original structure, and offers a space for live entertainment, recording artist sessions, Q&A series, and private film screenings. HGU New York has also partnered with Gallery 151, a contemporary art gallery based in lower Manhattan, with the hotel’s curated art programme featuring figures such as Fab 5 Freddy and Liz Markus, among others.